September 7th, 2017 6am GMT: The day has finally arrived to announce the release of the brand new X-E3. 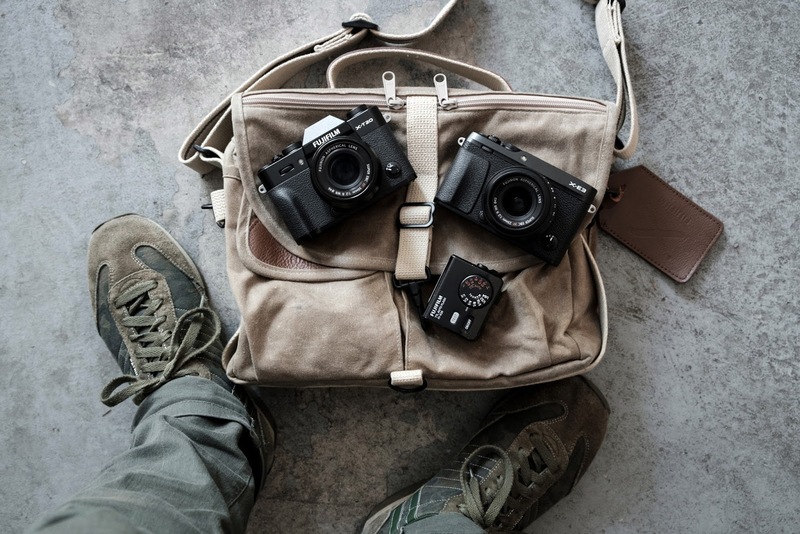 It's been almost 21 months since the release of the X-Pro2, so it's taken awhile for Fujifilm to upgrade the body, sensor and processor to the latest generation. I have a soft spot for the X-E series since the X-E1 was the very first Fujifilm camera I reviewed way back in 2012. Since then I've always hoped the X-E series would basically be a mini X-Pro2 without the complicated and expensive hybrid viewfinder. I knew Fujifilm would stick to their guns with the rangefinder form factor, so no articulating screen, no vertical control battery grip. The big question was about navigation. 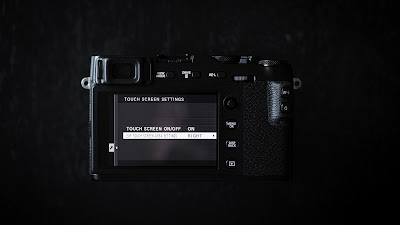 Would the engineers choose a joystick (found on the GFX, X-Pro2, X-T2, X100F) or a touch screen (found on the X70 and X-T20). How about both? 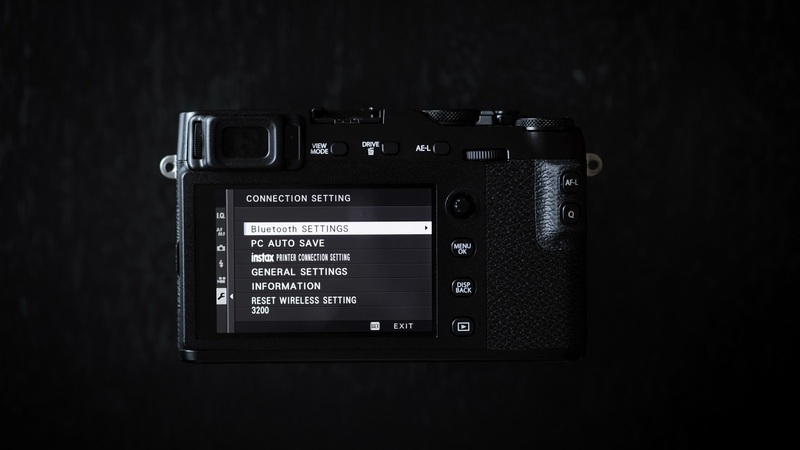 Yes, indeed Fujifilm decided to put both a joystick and a touch screen on the X-E3, much like the GFX 50S. There's a lot more to talk about so let's get started with the some of the key upgrades as well as the differences of the new X-E3 versus the X-E2S and its sibling camera the X-T20. no d-pad, although all navigation can be done with the joystick. Before we go into details about the key differences between the X-E3 and the X-T20 (it's closest sibling), remember that because it shares the same sensor and processor as the X-Pro2, X-T2, X100F and X-T20, other than hardware restrictions, Fujifilm can add or remove any feature that's found on any of the other cameras. However, instead of dumbing down the X-E3, it seems Fujifilm has decided to put in the latest and greatest of all the recent updates. For instance only the premium 'made in Japan' cameras (GFX, X-Pro2, X-T2, X100F) had the joystick. Also, only the GFX 50S had both the joystick and a touchscreen. 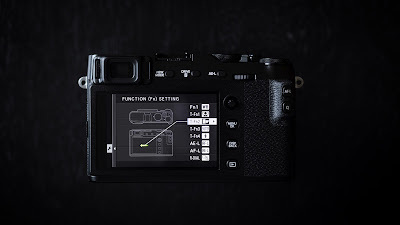 The X-E3 not only has both, it has added touch controls that not even the GFX has, such as touch control while using the EVF. The X-E3 also has built in BlueTooth, something that no other X series camera has. This should make the X-E3 the best wireless communication and control device in the entire lineup. These 3 things (joystick, touch screen, Bluetooth) are hardware upgrades, something that can not be added in firmware to the other camera bodies. That makes the X-E3 special... for now. It's great to sit and talk about specs and numbers, it's another thing to actually go out and shoot with it. In terms of performance, it's identical to the X-T20. If you've shot with one, you pretty much know how the other will behave in terms of AF speed, AF accuracy, exposure, etc. It's identical. The big difference is in the ergonomics, how you shoot. Because the design cues are rangefinder-esque, the body is smoother, shorter (slightly wider though) and thinner. As I carried the camera cross bodied as I road my bike, I immediately felt the smaller size. The EVF cup wasn't pushing up against my ribs like the X-T20 and X-T2 always does. It felt more like I was shooting with the X100F sans the hybrid viewfinder. I'm still getting use to the swipe touch features, and I don't think the Fuji's touch implementation is as good as the Canon's... yet. Give them a year to play catch up. I'm glad the Q menu is all touch integrated, although you can still use the joystick to select and pick your options. Most of the touch screen and menu option advantages that the X-E3 has over the X-T20 can always be updated in a firmware update, so it's no big deal. What are the biggest pros and cons for the X-E3 compared to the X-T20? 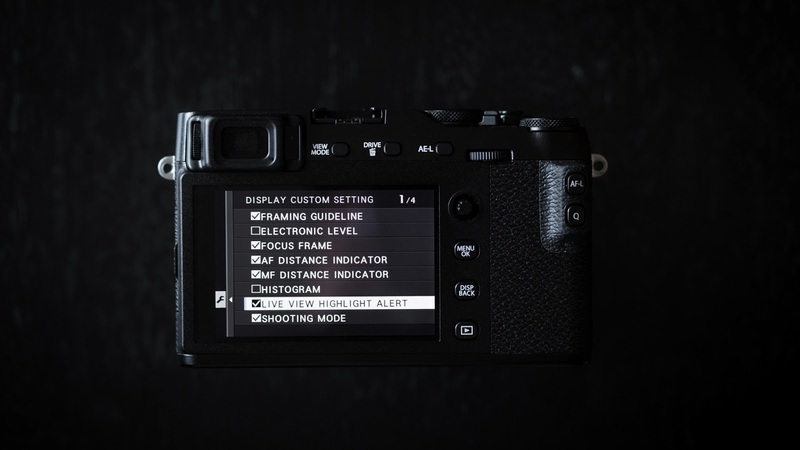 For pros, the X-E3 has dual navigation controls (joystick and touch screen). The X-E3 has a larger thumb area due to the lack of a d-pad, as well as no protruding articulating screen pressing against your thumb. There's more room for your fingers and is more comfortable to hold. The X-E3 has Bluetooth for more advanced wireless control features. As for cons, the X-E3 doesn't have an articulating screen, a built in pop-up flash or a dedicated Drive dial like the X-T20. The X-T20 also has 4 extra physical buttons for Fn assignment. 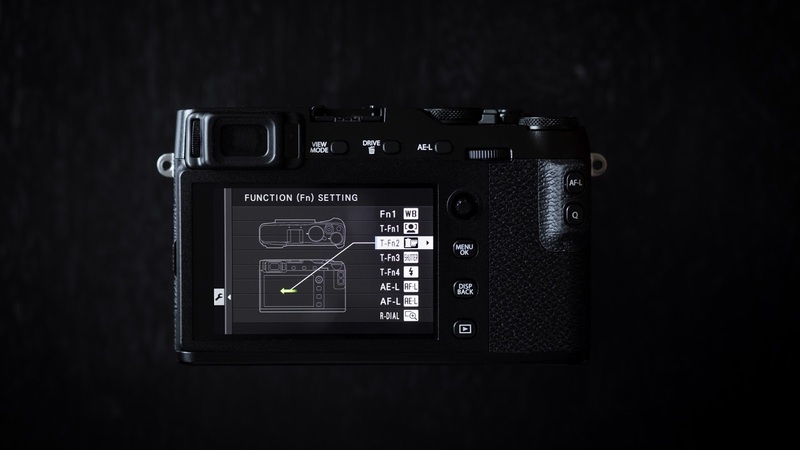 Yes the X-E3 has the swipe feature to access 4 additional Fn features, but that's no replacement for a physical button. 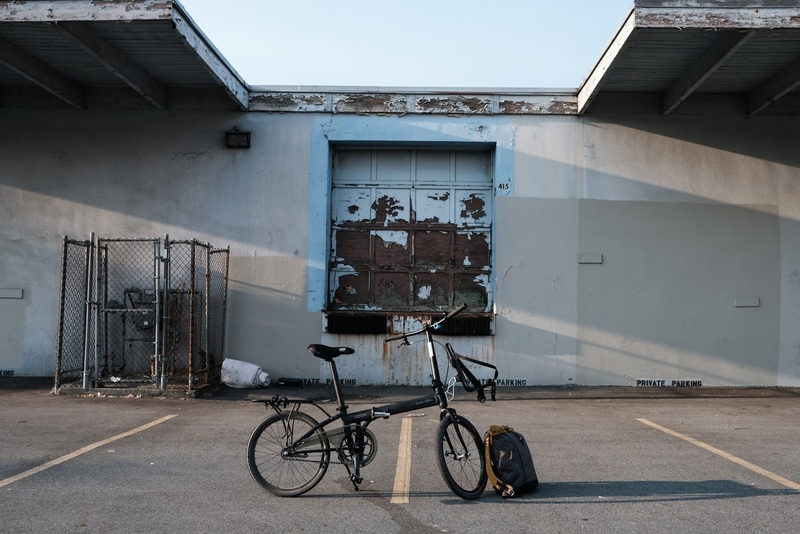 The rest is a difference in styling and ergonomics. I find the X-E3 nicer to hold even though it's smaller, but some might prefer the DSLR-like form factor of the X-T20. My first impressions? 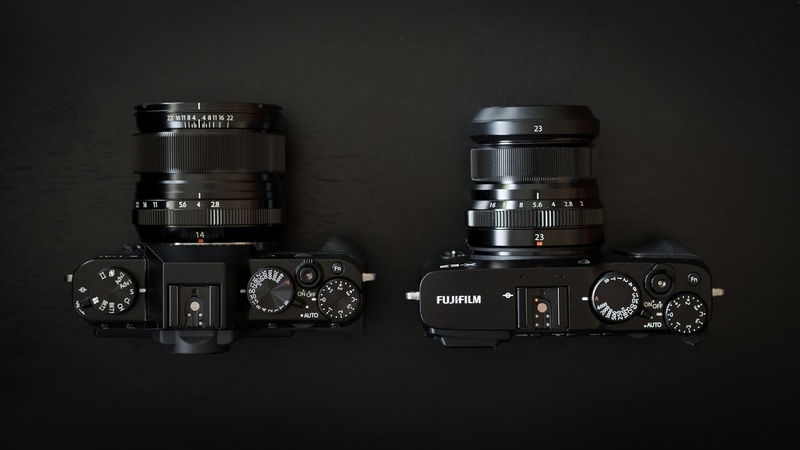 The new X-E3 is a great addition to the Fujifilm line-up. 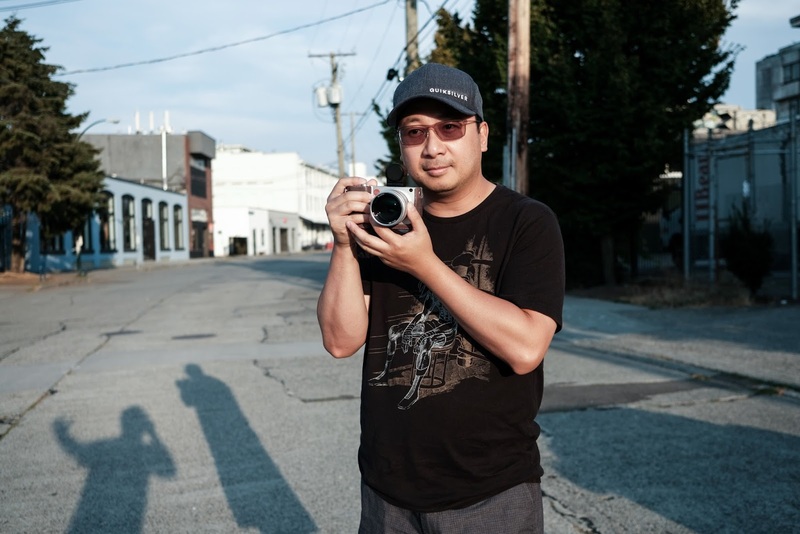 It sits right next to the X-T20 as an entry level camera into the X series ecosystem, as well as a perfect backup to either the X-Pro2 or X-T2. 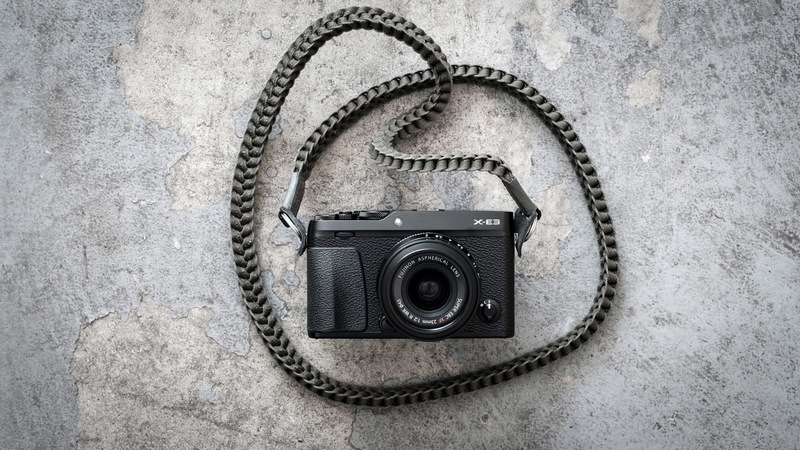 At the same time, if you like the rangefinder form factor and have no need for the hybrid viewfinder or leaf shutter on the X100F, the X-E3 is an attractive option, especially because it's being bundled with the XF 23mm f/2 WR lens. My shooting experience was very positive, although I'm not quite sold on the swipe Fn button replacement. I would rather use the dedicated dials and buttons (use ISO access via the front command dial push-in feature and WB on the one and only dedicated Fn labelled button), which there are enough of. 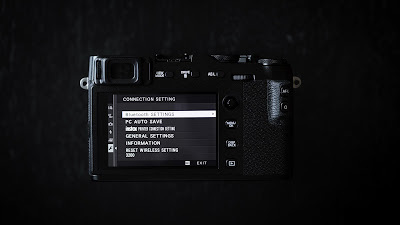 Small features like being able to change ISO during video recording that is currently available on the X-E3 but not on the X-T20 can easily be updated in firmware, so I wouldn't get too worked up about it for now. I'm sure there's a huge firmware update coming soon, especially for the X-Pro2. Keep an eye on this website and my YouTube channel for more videos and updates on the X-E3 and other new products coming down the pipeline. 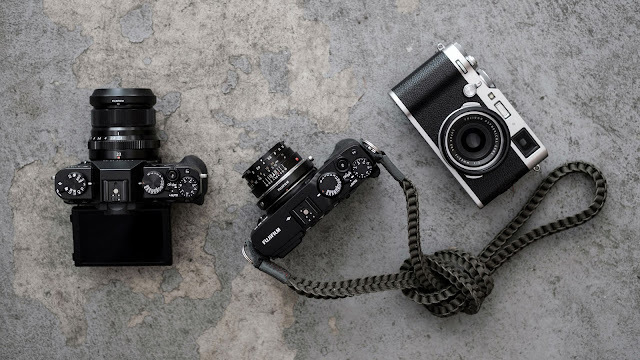 Glad to see the X-E3 arrive and complete the suite of styles. I've just purchased an X-T20 and my gut tells me I'd prefer the ergonomics of the X-E3. 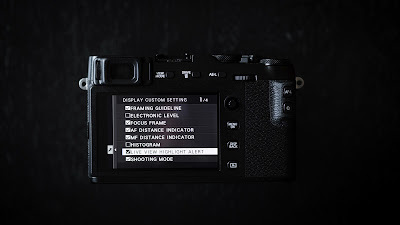 However I'm not a fan of them replacing buttons with swipes, that was the biggest appeal of the Fuji X system for me. Looking forward to some of the upgrades coming via FW to the X-T20. I imagine I'll hang on to the X-T20 until the next generation of rangefinder style Fuji X cameras come out. I appreciate the hands on impressions, love the youtube channel and keep up the good work. Incredibly jealous of your location, Vancouver is the most beautiful place I have been to. The X-T20 is a great camera, it's very functional. As I mentioned in my review, it really comes down to the type and style of shooter you are. 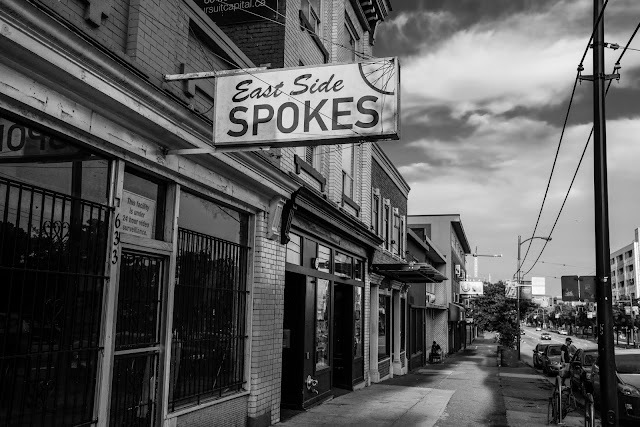 Although I prefer the X-E3 as a street camera, I wouldn't say the same as a studio or video. Since the X-T2 is my current main body, I would choose the X-T20 as it's back-up, not the X-E3. As for Vancouver, I guess I've grown up here and I take it for granted. Whenever I visit another city, I always feel the other city is better, nicer, more exciting. I guess I'm just spoiled. Oh and thanks for visiting and commenting, and congrats on the X-T20. I LOL when I saw that the first pic was shot at f/3.6. I remember in your videos how you lamented over not needing anything less than "whole" f-stops. Enjoy your website and youtube videos. Keep up the good work. 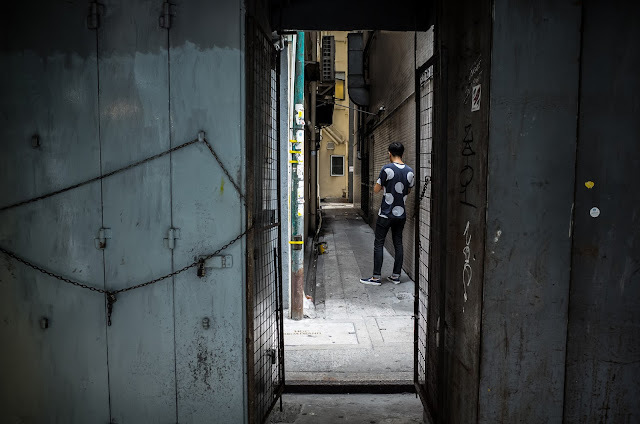 How quiet or noisy is the X-E3 when focusing with that 23mm f2 lens? I have an X100s and love it. 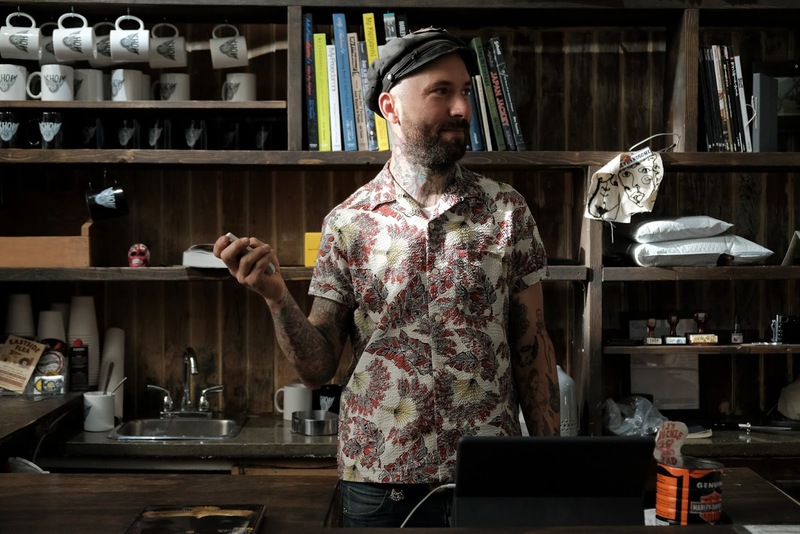 I was in a camera shop recently and played with an X-T1 and 35mm f1.4. When I changed focus from near to far, the camera sounded quite noisy as it was finding focus. I don't mean that there was a problem with the camera - it found focus fast and accurately - just the internal noise of the refocusing was noticeable. Of course, I had my eye up to the EVF, so I was right up against the camera - but I wondered about the noise from the Fuji. The X-E3 is as quiet as the X-T20, especially with the XF 23mm f/2 R WR. 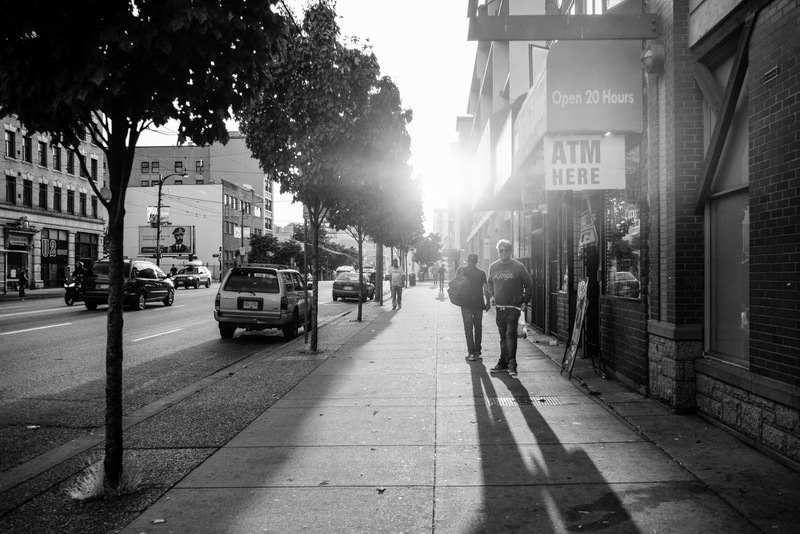 yes the X100 series is a bit noisy, and definitely noisier than the XF 23mm lens. The XF 35mm f/1.4 is the first generation primes lenses, which are noisy. 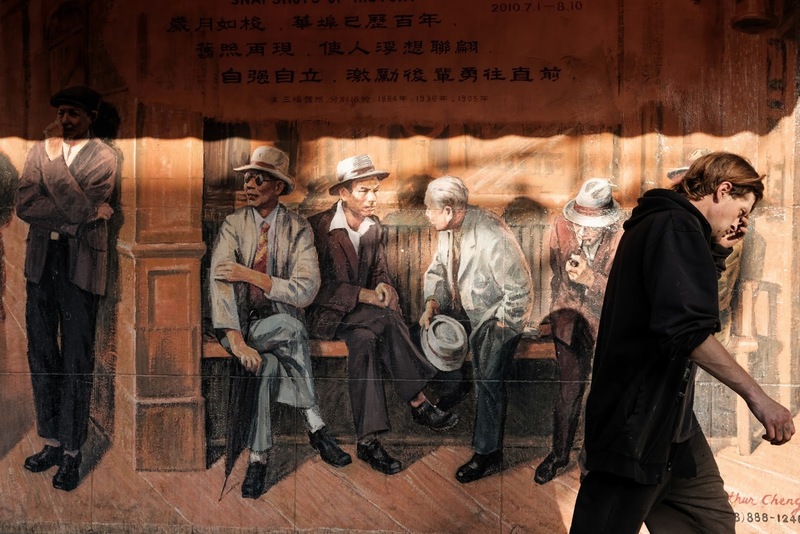 the XF 23mm f/2 is the second generation lenses and super quiet, fast and accurate. Bluetooth connection to smartphone should deliver pics faster than Fujifilm's current app. It's not bad, but it takes time to connect everything before transferring pics. Touchscreen! Hoping it will come to the rest of the line soon. Our smartphones have trained us well. 4K video. This is more important to me than a flippy screen, which my X30 has. But I totally forgot about that feature and haven't used it--and I haven't missed it. First of all congratulations. You blog is a great source of useful information. I just got the X-E3. ¿Where can I get the strap that appears on camera? I just got this question. Came here looking for the same information. Thanks! You've got great taste. Each strap I see on one of the cameras you are using I think, wow, that's sweet! Where is the X-E3 made in? Love the design. 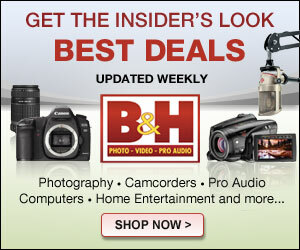 I wonder how many years it would take me to buy a high range camera. Greate post. Keep writing such kind of information 918kiss Apk on your blog. Im really impressed by your site. Hello there, You've performed a fantastic job. I will certainly digg it and for my part suggest to my friends. I am sure they'll be benefited from this website.